Yep, that's exactly why George Bush...Senior and Junior...got that wall built and fixed our immigration system....all of that "reasoning and thoughtful conversation" they used brought in enough RINO's and Dems to get it done. Oh...wait...that's exactly the opposite of what happened...could it be that no amount of huggy-feely conversation was or would ever sway the RINO's to support a wall. Whether a few hard-core NTs here posted less-than-flattering opinions about Trump has had absolutely no effect on his ability to get things done in Washington. After two damned years in DC he still doesn't understand how the place works and how to get what he wants? And, invoking GWB isn't going to work either. W was never big on border control and never really tried. Same with GWHB. You really are a Trump supporter. Trump needs to stop being the "Whiner In Chief" and start getting things done. He has the power to make it happen......Use It! So...when's that State of the Union speech going to happen? So, postponing the SOTU wasn't a concession, ending the shutdown wasn't a concession. I'm afraid of what else isn't going to be a concession, or maybe I should be afraid of what will be one. Sure, let’s completely leave Trump’s terrible political instincts and decision making out of the equation. When he first assumed office, he backed the horrible RINO replacement plan for O-care. When the Freedom Caucus blocked it, he told them to get on the team or he’d campaign against them in 2018. During the Camp David meeting last December, he agreed not to back insurgent candidates in the midterms. Hilariously, they made the agreement to secure campaign money from the Koch brothers, who don’t support Trump on immigration or trade. I know a thing or two about concessions. I own the coffee and donut concession in The Lounge. 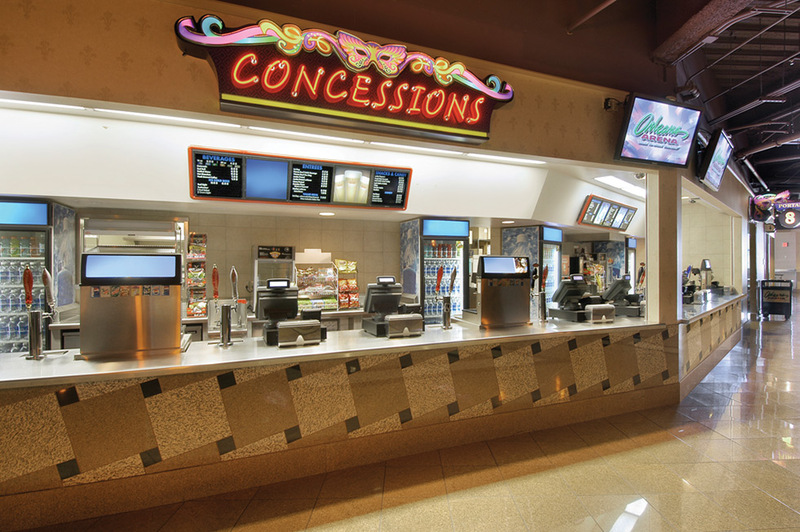 Maybe we could open up a concessions stand at the driven-in movies and make a profit. The wall has always been fine with me but I'm not one of those people who like one guy I know said "I only voted for Trump because he promised to build a wall" but it definitely is with beefing up and securing the border for however that works. As if you can convince open border globalists like Ryan to help build a wall. Thank you for proving my point, since I know that the plain ones didn't start out that way. All he's done here is given congress 3 weeks to get a legislative solution that includes wall funds...and he's put everyone back to work at Homeland and along the border thus helping out the very force he needs to slow immigration and control our ports of entry. If a 3 week concession allowing those things to occur is supposed be some kind of failure...well...you NT's still don't understand what's happening. When Trump declares the Emergency on the border, it must be after he's exhausted all other avenues...this is part of building that case (specifically building it FOR a Supreme Court ruling that will surely come after the Declaration of Emergency occurs). The Dems and you NT's seem to think this is a victory for you. Its not. Its simply the President delaying his own victory in this wall struggle...and thus appearing as the fair and compromising side in this repartee'. 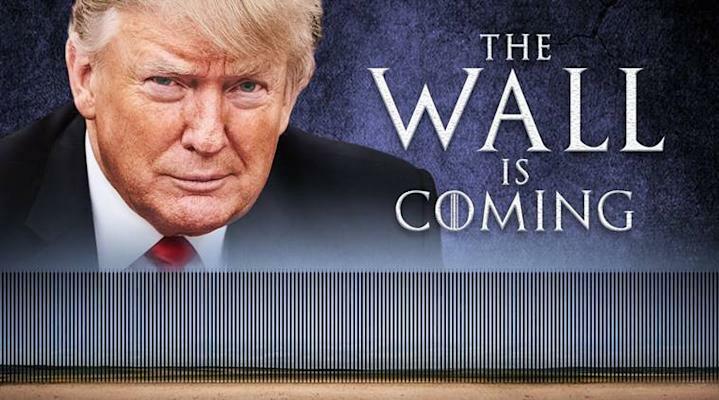 Wall construction will be under way before February is out...either via legislation or through a Declaration of Emergency...either way, that's a win-win for the President. Hey! I haven't done that since I started my diet. I already lost >55 lbs. That means you're doing something disgusting to them to keep from eating them. 180 degree chess moves here. He is thinking way ahead of everyone else. You must move forward, not backward, downward, not upward, and always twirling, twirling towards your goal. Amen. True. And he should not sign any Democratic bills coming to his desk if it includes welfare or funding for liberal projects. Certainly nothing for Planned Parenthood. If Nancy wants stalemate she can have it. Lame duck. She can seal this Congress's fate from the get go. They can fight it out till pigs fly. Do you really think that the GOP could be convinced to give up their feeding at the trough of lobbyists and vote for the security of the American people? I don't. Finally. That is the point that I have been trying to make for weeks. People need to understand HOW legislation gets to the floor for full vote, in both chambers. On this issue (and more than a few others), there is no functional difference between Ryan and Pelosi. Being friendly with the Freedom Caucus, nor any other group within the House with no real power, has zero impact on House leadership.